One of the most common medical conditions our offices at Green Health Docs see, whether it’s Ohio, Maryland, Missouri or North Dakota, is chronic pain. A large number of our pain patients also suffer from fibromyalgia, an illness that yields more than its fair share of severe pain, fatigue, sleep issues and other psychological troubles like depression. Fibromyalgia is defined as a disorder affecting the body causing widespread musculoskeletal pain. 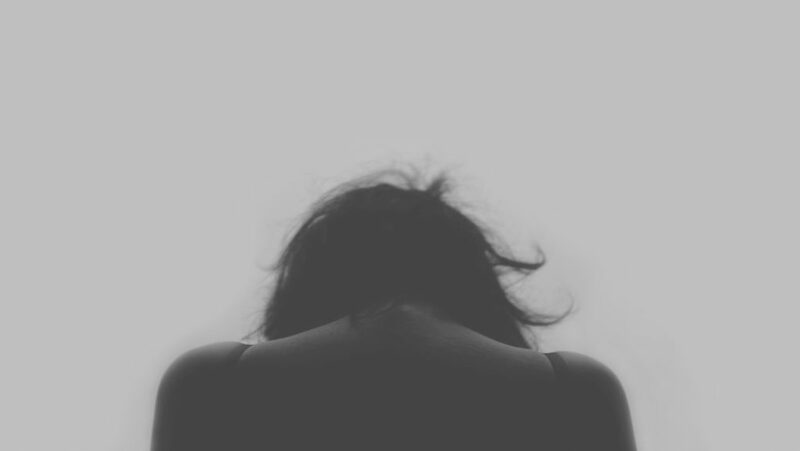 Other negative side effects of fibromyalgia include insomnia, difficulty sleeping or concentrating, anxiety, depression, mood swings, severe joint or tissue pain, and memory recall loss or missing time. PTSD may also be associated with fibromyalgia, notably in patients who suffering a traumatic emotional event. Some subjects develop symptoms following an emotional or physical trauma, while others develop symptoms of fibromyalgia over a long period of time. The disorder also appears to disproportionately favor women over men. In fact, 90% of all fibromyalgia cases are female. Defined only recently in 1990, fibromyalgia is a relatively young illness. Since its discovery, the medical community has looked upon fibromyalgia with some sense of skepticism. However, with millions of valid cases popping up, research and studies are showing how and why fibromyalgia occurs in so many patients. There appears to be no root cause of fibromyalgia. Some research has indicated that fibromyalgia may be a genetic disorder, passed down between family members. Other research would indicate that fibromyalgia may be a disorder of the brain and how it processes pain. This means that fibromyalgia may actually increase the amount of physical pain our bodies feel. With this theory, fibromyalgia is like dirt in the oil, causing the entire system to run poorly. 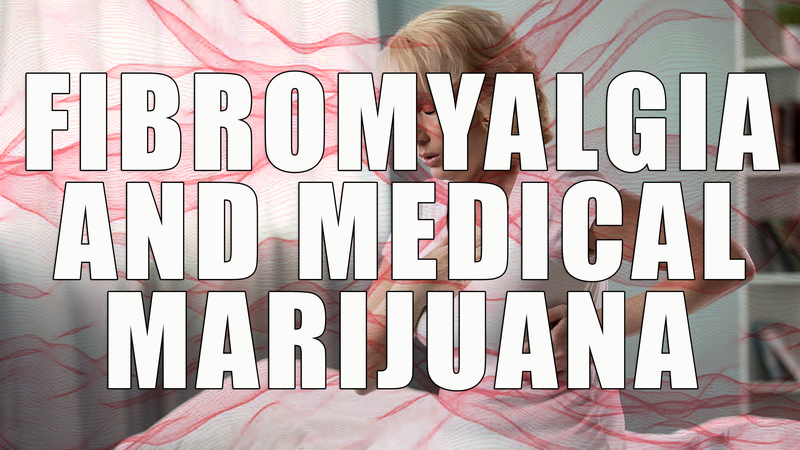 Is Medical Marijuana An Effective Treatment For Fibromyalgia? Unfortunately, at this time, there are no known cures for fibromyalgia. Many different therapies have been developed to help treat the symptoms of fibromyalgia in patients. Sadly, many of these therapies include treatment with opioids. These types of medications can work, but at great costs, including addiction and unwanted negative side effects like severe constipation. 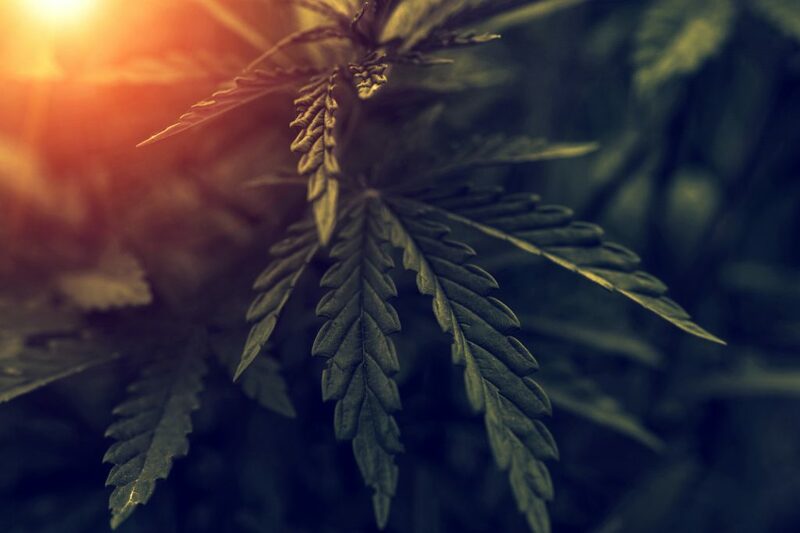 Recent studies have shown that cannabis is a potentially effective treatment for many of the fibromyalgia’s more painful or debilitating side effects. Cannabis can help increase a patient’s overall pain tolerance, allowing a patient to control their pain level during fibromyalgia flare ups. The chemical compound THC (or Tetrahydrocannabinol) can also help patients with mood swings and memory issues. THC creates a slight euphoric experience in the user, which can also help calm symptoms of depression and anxiety. CBD (or Cannabidiol) is another active chemical in cannabis. CBD provides a sedative effect, and is best used to help calm anxiety or help a patient fall asleep. Used in combination with THC, cannabis should be able to help regulate many of the troublesome issues derived from fibromyalgia. See the chart above to learn more about the many chemical compounds found in marijuana. Is Medical Marijuana A Good Alternative For Opioids and Fibromyalgia? While opioids may be a good method of treatment for many patients, the dangers associated with opioid use are high. In recent years, deaths associated with opioid use have risen, drawing the U.S. into a full blown opioid crisis. According to the National Institute for Drug Abuse, over 130 people die each day from opioid overdoses. In 2017 alone, there are over 47,000 deaths related to opioid use, from prescription medications to heroin, synthetic opioids and illegally manufactured fentanyl. Equally tragic, the opioid crisis costs Americans over $70 billion a year to combat. There are no known overdoses with medical marijuana, however, and far less side effects. A patient using medical marijuana will be easily able to regulate their doses without fear of cannabis becoming habit forming. A patient can stop cannabis at any time without withdrawal or other negative side effects. While marijuana can yield paranoia in some subjects, generally this is because the patient took too much cannabis (notably THC) in one sitting. Eating foods rich in carbohydrates, or adding a few drops of a CBD tincture to your tongue, will quickly temper those negative effects. Medical marijuana is not only effective in treating the physical symptoms of fibromyalgia, like severe or chronic pain, it can also help with the psychological symptoms. This makes cannabis an ideal alternative to opioids, especially for patients who have found opioids to be ineffective or too dangerous for their liking. Can Medical Marijuana Be Used With Opioids? Medical marijuana does not interfere with opioid use. Using opioids and medical marijuana together should come at the discretion and recommendation of your licensed medical marijuana physician as well as your pain management doctor. Combining the therapies may be an effective method to managing pain and the psychological symptoms of fibromyalgia, especially in extreme cases where traditional methods have failed the patient. Even better, cannabis may also be an effective way to wean a patient off of opioids if the patient or physician finds that the subject is taking too many opioids and runs a risk of the drug becoming habit-forming. Several states, including Missouri, are even considering adding (or have already added) opioid reduction to their state’s list of approved medical conditions that qualify for medical marijuana. 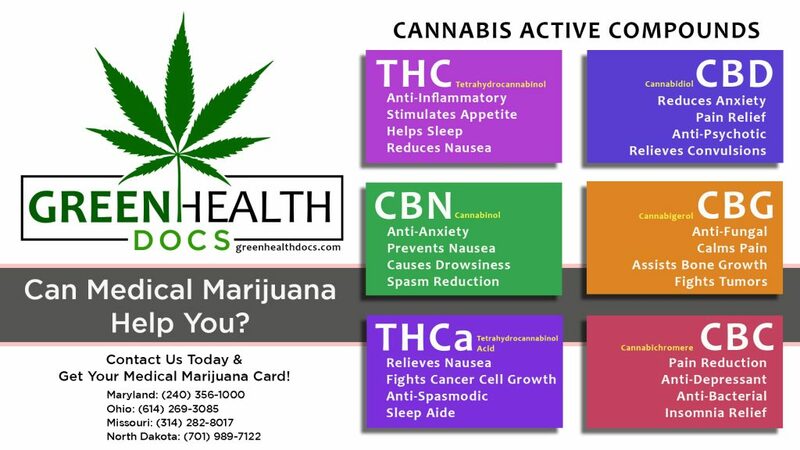 I Have Fibromyalgia, How Do I Get My Medical Marijuana Card? If you have already been diagnosed with fibromyalgia, the process of obtaining a medical marijuana card is simple. Ohio and North Dakota list fibromyalgia as a qualifying condition that is treatable with medical marijuana. Missouri and Maryland offer chronic pain and PTSD as a qualifying condition. Both Maryland and Missouri also allow a recommendation based on the licensed medical marijuana physician’s discretion. So click on the states below and call our support team today to start your journey toward finding relief through medical marijuana.